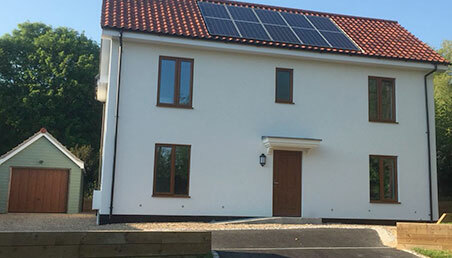 Simplifying Passivhaus – a highly innovative system that makes Passivhaus easy to achieve. 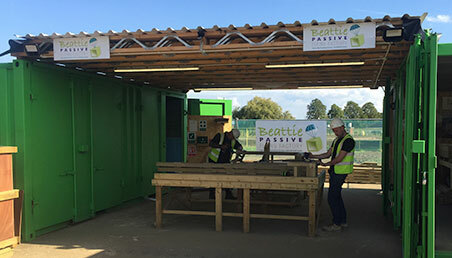 Our innovative, patented construction method (now in 68 countries) provides a continuous insulation layer around the core of a timber framed structure and we are the first company in the UK to achieve certification for a complete Build System (ground floor, walls and roof) from the Passivhaus Institute in Germany. Traditional construction methods involve numerous joints between floors, walls and roofs. 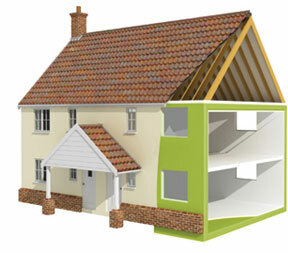 Each joint will experience inevitable heat and air loss leading to increased energy requirements. Our system overcomes these issues and surpasses the rigorous Passivhaus standards. The continuous insulation system is housed within a treated timber frame structure delivering a complete build system from foundation beams, ground floor, walls and ceiling or roof. Once in place, high performance insulation material is injected into the floor, wall and ceiling cavities, creating one continuous insulated layer around the building. No joints, no leaks. Our build system is available via four flexible delivery options to suit every requirement of size and style of building, quantity of homes and site location. As Passivhaus experts, we have a genuine passion for delivering high quality, high performance homes for our clients. Watch this short video introducing the Beattie Passive team.